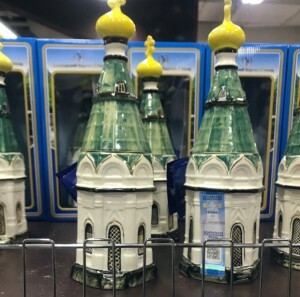 February 19, 2019 – Vodka in a bottle that repeats the outlines of the St. Paraskeva chapel (Russian Orthodox Church), a monument of regional architecture, is sold in local supermarkets of Krasnoyarsk at prices ranging from 2,600 to 4,300 rubles1. Krasnoyarsk Diocese intends to apply to the law enforcement agencies in order to obtain a legal assessment of the fact. “We see that the manufacturer inclines consumers to blasphemy, because in order to open the bottle it is necessary to remove the roof from the chapel, and there is a fragile cross and a dome that can be easily broken,” said a representative of the diocese. 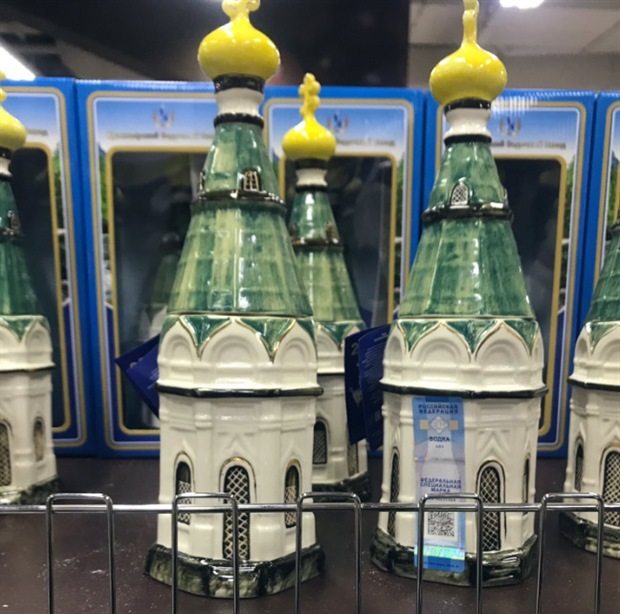 Moreover, Krasnoyarsk Diocese received many complaints of believers who were offended by the fact of the combination of Orthodox symbol and alcohol beverage sold in local stores. Approximately 35 – 50 euros.